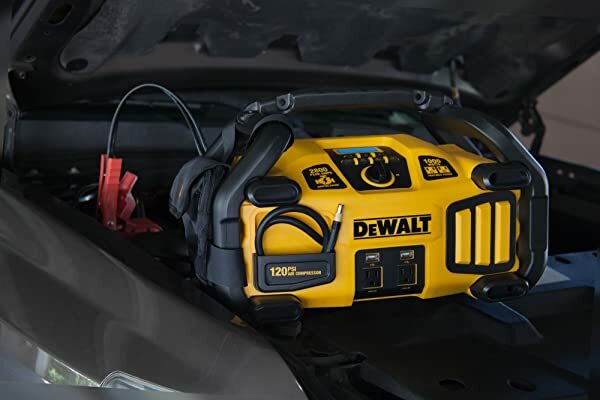 The Best Car Battery Charger varies widely in performance, in the type of batteries they can charge, how long they take to charge, and how they maintain batteries. 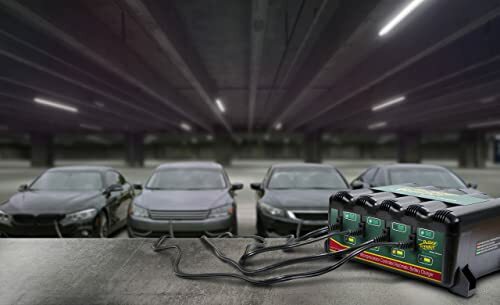 As a battery charger is such a huge investment, it is important to purchase the right one for your car. With many options out there to choose from, you need to choose one that suits your needs. I’ve even prepared a comparison chart of the Top 3 Car Battery Chargers. Bottom Line Tender Plus 021-0128 is one of the best battery chargers to use for off-road-motorcycles, all-terrain-vehicles. 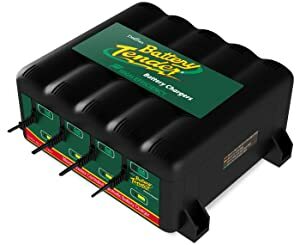 Battery Tender Plus 021-0123 is recommended for off-road-motorcycles and all-terrain-vehicles. 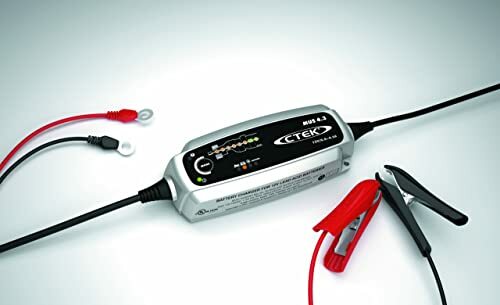 CTEK is recommended for CTEK battery charger is a worthwhile investment for cars, trucks, boats, motorcycles, ATVs, lawn and garden equipment and much more. You can bank on this charger because it is made by Deltran. Deltran Co. is a highly regarded manufacturer in the industry. 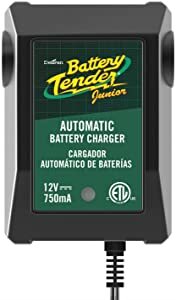 Battery Tender 021-0123 Battery Charger is one of the best battery chargers. There are several reasons why it is so popular out there. It has the durability, value, performance, and power you need to charge your battery. For instance, this tender/charger is fully automatic. It is less expensive than many battery tenders with similar features. The charger can be left connected to a car battery without causing damage to it. The main use of this charger is to maintain the charge of your battery whilst the car is not in use. With it, the risk of overcharging your battery is eliminated. When a battery is fully charged, the charger will switch to a safe maintaining level. One main disadvantage of this device is that it can take ages to fully charge your 12V battery. If you need a quick solution, purchase the premium version of the charger. However, the premium version is a bit costly. The device is compact and less bulky, meaning it is portable. The charger is simple to use, reliable and affordable. It is recommended for people who are looking for something simple and portable. 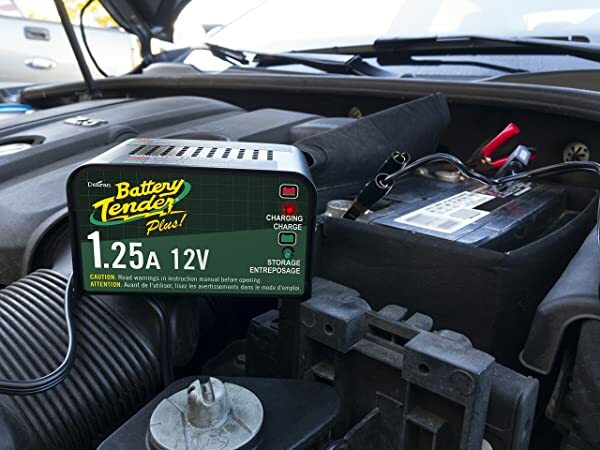 Battery Tender Plus 021-0128 battery is a 1.25 Amp premium battery tender. It is capable of getting your battery juiced up each time it runs out of power. Unlike Battery Tender Junior, this premium version powers up your battery very quickly. It comes with advanced technology meant specifically for modern sealed lead acid batteries. The Tender Plus features a 4-stage charging process alongside a microprocessor. It won’t overcharge your battery or require constant monitoring. When your battery is fully charged, the charger automatically switches to maintenance mode voltage. It won’t damage your battery. Rather, it will keep your battery voltage at the appropriate level. It automatically switches to float charging mode once the battery is full. Self-timer: Once the battery is connected and the charger switched on, the charger will automatically switch to maintenance mode within 72 hours. The charger is reverse polarity and spark proof protected. Has a four-step program: 1. Initialization, 2. Bulk charge, 3. Absorption mode, 4. Float mode. The product weighs 2.3 lb. Be safe to use and also looks attractive. It is one of the best battery chargers to use for a wide range of automobiles. You can use it for boats, ATVs, SUVs, e.tc. The spark proof connectors ensure the device cannot be damaged easily. However, not all battery types can be charged with this charger. There are different types of batteries such as sealed, Gel cel and lead-acid batteries. For this reason, it is of utmost importance you know the type of battery that you have. In fact, the battery is the most versatile, effective and fastest charger the company has ever made. Battery charging device is compact and has all the capability. Featuring an 8-Step charging process, it is one of the best chargers you can buy right now. 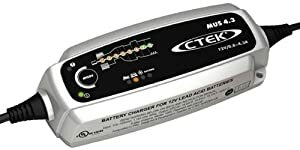 CTEK (56-864) MUS 4.3 Battery Charger is breaking new ground with numerous unique features. It is one of the car battery chargers with several good features at a pocket-friendly price. It can charge a wide range of battery types. Also, it packs a state-of-the-art system that helps to solve battery-related issues. In other words, it can help detect a problem with the battery. Once you recondition the battery, it’s ready for charging. And even if the battery is fully charged, the CTEK can still be left on. CTEK is recommended for those with motorized toys, like snowmobiles or dirt bikes. The charger is designed to protect all your automobile delicate electronics. Moreover, they are water, dust and splash proof. And with short-circuit proof and reverse polarity. 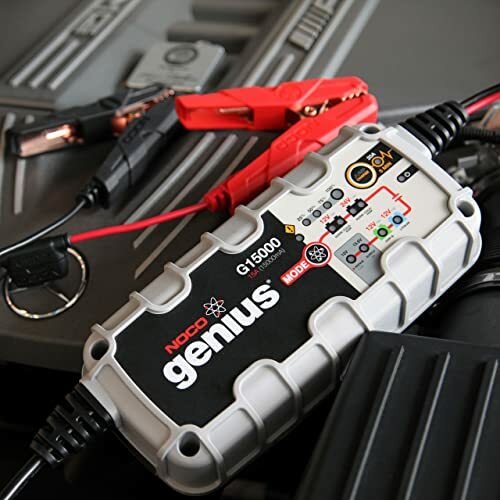 The NOCO Genius G3500 battery charger is one of the top 10 best battery chargers right now. The battery is highly versatile. Has the ability to charge and maintain both 6-volt and 12-volt lead-acid batteries. Additionally, the charger supports lithium-ion batteries. Needless to say, NOCO is well-known for churning out some of the safest batteries. We would recommend the NOCO for its reliability and efficiency. In 2017, it was ranked among the top best battery chargers. The charger has the ability to charge both lead-acid and lithium. It supports 6-volt and 12-volt batteries, with good charging speed. With its portability, compact design and ease of use, this device has proved to be extremely reliable. Therefore, you can also use it to repair damaged batteries. Noco Genius comes with unique features that make it stand out. One of these features is the super-fast charging. The device could charge a battery as twice as the speed of an ordinary charger. The super-fast charge ability of the Noco could help in repairing damaged batteries. Also, it can revive dead batteries. 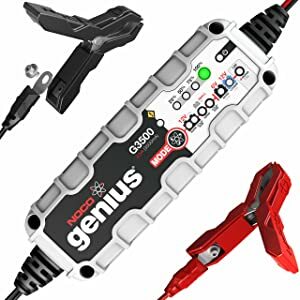 NOCO G3500 automatically charges, maintains, recovers and diagnoses batteries. Based on our research about Noco Genius G3500 battery charger, we’d conclude that it is a great device. The pros arguably outweigh the cons. However, this charger seems to be more expensive than other chargers available in the market. The product is recommended for anyone looking for the best battery chargers that last forever. Outstanding Compatibility: 12V and 24V lithium-ion and lead-acid batteries. It can also maintain lawn, garden, marine, deep-cycle and automotive batteries. It can power CANBUS electrical systems and micro-hybrid automobile. The device also includes eyelet terminals and X-Connect battery clamps. 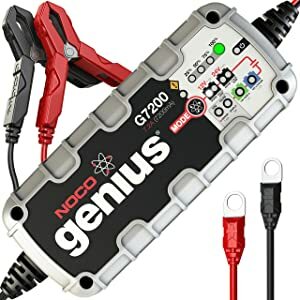 The NOCO Genius G7200 Battery Charger is a reliable charger from NOCO Company. Their best battery chargers are mostly used to charge lithium-ion and lead-acid batteries. They can be used to charge batteries for cars, RV, and lawns. NOCO Genius charges two times quicker than regular battery chargers available in the market. It should be noted that this charger cannot be used with motorcycle batteries. Well, it is too powerful for such batteries. Let us have a brief discussion about the unique features that make NOCO genius stand out from the crowd. In the end, you should be able to decide whether or not the device is going to be worth your investment. Also, you should be able to know if it suits your needs. 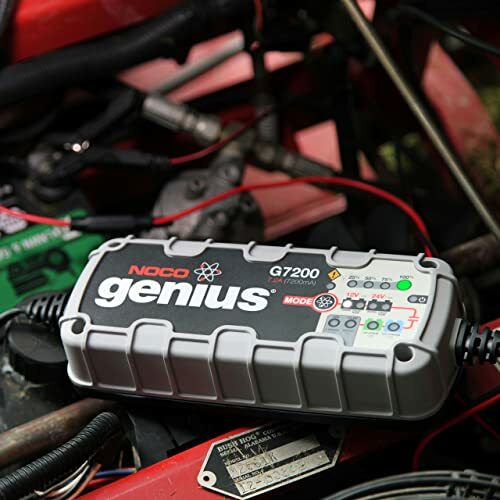 NOCO Genius G7200 charges a wide range of batteries. The charger supports various types of batteries, including 6-V and 12-V batteries. Apart from charging the batteries, it can also maintain them. Versatile: The state-of-the-art technology used to design NOCO Genius allows it to perform more functions than just charging. The charger charges a battery two times faster than regular chargers. In addition, it can repair damaged batteries and bring dead ones to life. Great interface: It comes with a LED display that shows the diagnostic info as well as the charging feedback. This charger is built for anyone looking for a quality and durable charger. It is worth the investment and won’t make your cash go wasted. Considering the great reputation of NOCO Co, it’s safe to conclude that this product is worth the investment. Therefore, you can never go wrong with NOCO Genius G7200. If you own several automobiles like watercraft, ATVs and motorcycles, you know how important it’s to keep the batteries charged up all the time. Charging each battery can be pretty cumbersome. For this reason, the Battery Tender 022-0148-DL-WH Battery Charger was created. It was designed with individuals who own more than one automobile in mind. Besides, Battery Tender is capable of giving a full charge to up to 4 batteries. The Battery Tender 022-0148-DL-WH Battery Charger comes with a four-bank Battery Management System. This lets you to simultaneously charge up to four batteries at the same time. Furthermore, the tender charges a battery at the rate of 1.25 amps. As you can see, it is not just an ordinary trickle charger. 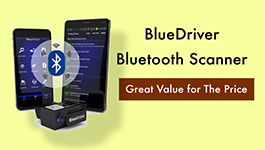 It features a smart technology that prevents the charger from overcharging or damaging the battery. Once you’ve plugged in the charger, you don’t need to monitor it. The battery tender is also compatible with a wide range of batteries. Therefore, you can use it to charge batteries are flooded, sealed or maintenance free. Designed for slow charging only. The Battery Tender is designed for individuals with more than one vehicle. It is also meant for those who want to charge several batteries simultaneously. If you have a number of automobiles such as jet-skis, motorcycles, etc. then this battery tender may be the perfect solution for your needs. Another interesting thing about the charger is that it is compact and lightweight. It weighs just 3 pounds. Moreover, it is robust enough to withstand a certain amount of wear and tear. 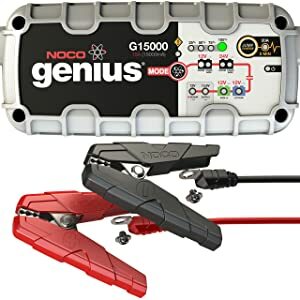 NOCO Genius G1500 is a popular and one of the 10 best battery chargers. However, it should be noted this charger is quite pricier than regular chargers. With that said, it made to our list for a number of reasons. NOCO Genius 15000 has numerous features that make it stand out from the crowd. What fascinated us with it is its design. The device is not only compact but also lightweight. This means it is to use, carry or store. It comes with long-lasting battery clamps. The battery charger is also dust, water, and dirt-proof. Such features make it very durable. 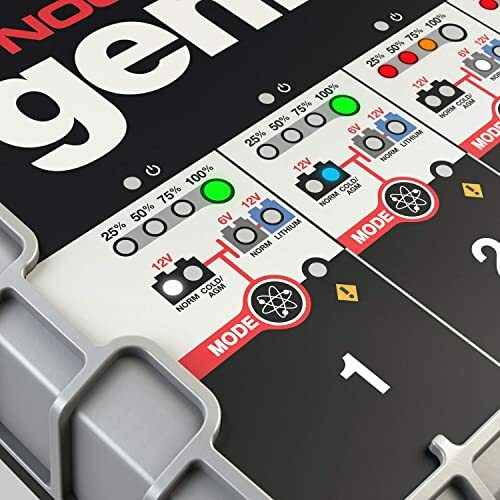 Note that the Genius 15000 battery charger only supports 12-V and 24-V batteries. Therefore, you cannot use it to charge anything less than that. You may want to go for NOCO Genius 3500. NOCO Genius 1500 is designed for both lithium-ion and lead-acid batteries. It offers a safe charging experience. In other words, it will not boil your battery due to overcharging. Besides, it is also capable of jump starting your car. 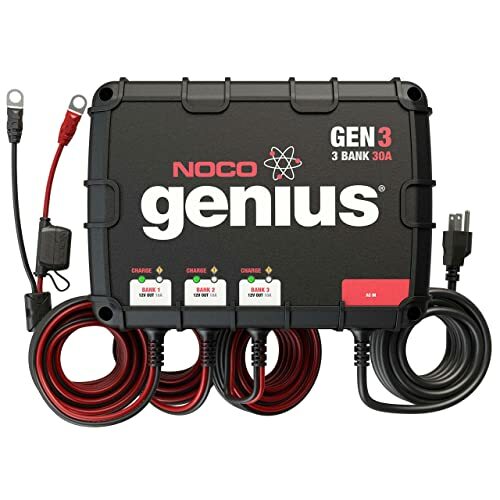 NOCO Genius 1500 is designed for both lithium-ion and lead-acid batteries. Offers safe charging experience. It is an ideal choice for those who have bigger and very high-quality batteries. As you can see, it is a great investment. And if it were not for the huge price, this product would undoubtedly be our top 10 best battery chargers. You may be wondering why you are seeing many NOCO G-series batteries on our list. No doubt, NOCO is a battery charger manufacturing giant. The NOCO Genius G4 battery charger as the name suggests is a four-bank battery charger. A 4 bank battery charger means you can charge up to four batteries simultaneously with one charger. This saves you time as well as money in the long run. NOCO G4 comes with an advanced processor. 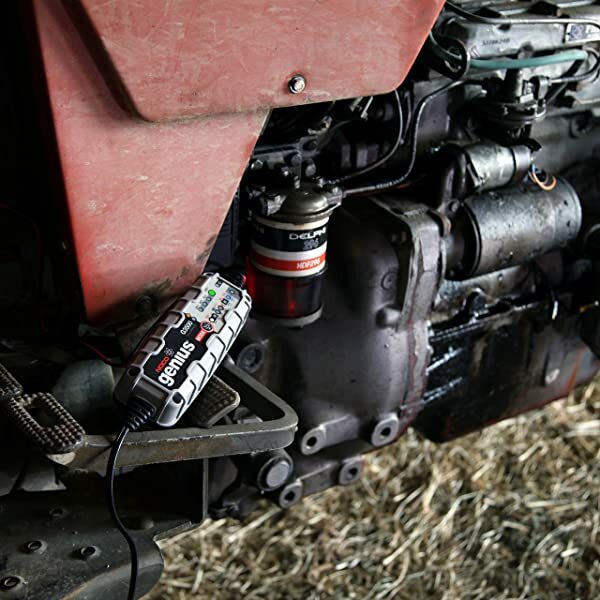 The processor is designed to monitor, diagnose, recover, charge and maintain AGM, MF, and Wet batteries. This high-efficiency, high-frequency and waterproof battery utilizes fast charging technology. Meaning, it charges a battery two times faster than conventional chargers. 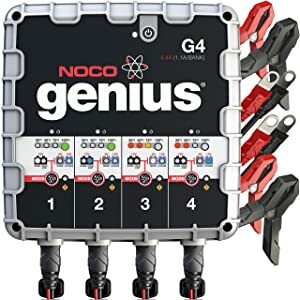 Safety features of NOCO G4 include overcharge, open-circuit, spark-proof technology, protection against short circuit, and reverse polarity protection. 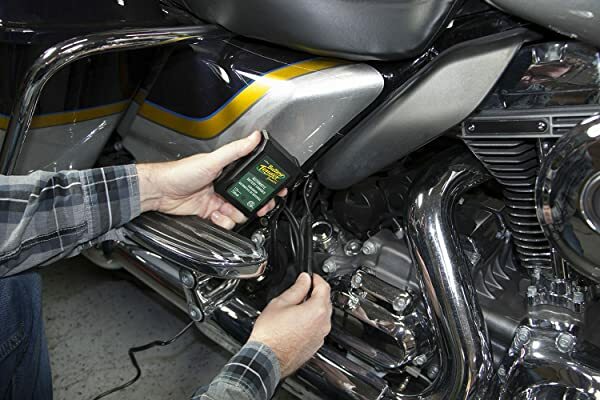 The processor is designed to monitor, diagnose, recover, charge and maintain AGM, MF, and Wet batteries. The battery charger is recommended for anyone who owns multiple batteries. It is one of the best battery chargers that can save you time. Manufacturer of the NOCO G4 bank has set the standard in the battery charging industry for many years. Outstanding Compatibility: All 12V lead-acid batteries including AGM, Maintenance-Free, Gel, AND Wet cells. It is a great option as it is affordable, effective and durable. Finding out that one of the best battery chargers on your boat or car has gone dead when you are in the middle of your journey can be very frustrating. That is why you need the best battery chargers. However, you do not need just any charger. You need a reliable and high-quality charger. It is a very important emergency tool for any automobile owner. 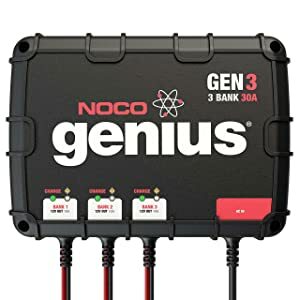 NOCO Genius GEN3 Battery Charger is arguably one of the best marine battery chargers out there. The charger is well reviewed on the Amazon website. Currently, it has earned 4.3 out of the possible 5 stars. The battery is recommended for anyone looking for one of the best battery chargers that can survive harsh environmental conditions. In fact, it is designed for tough marine conditions. The battery is easy to use, fast and effective. Apart from the price, it is a great investment, hence recommended. Apart from heavy tires, the compressor can inflate sports equipment as well as air mattresses. With a built-in LCD screen, you can monitor and control the air compressor and power settings on-screen. The best battery chargers must have the muscle to get your car engine running when the need arises. 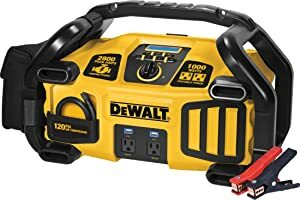 2800 Peak Amp jump Dewalt DXAEPS2 has plenty of juice. Therefore, it is capable of jumping a vehicle multiple times prior to having to be recharged. Besides, the charger comes with 1,000-watt power inventor to offer a continuous power supply to the dual 3.1 Amp high output USB outlets. Also, the inventor can supply power to other gadgets connected to the battery. It is lightweight and features a 120 PSI Compressor. The 1000 Watt Power Inventor is capable of powering a wide range of electronics and appliances. Outstanding power: You can use it to jump-start both small and larger engines without trouble. If you are planning to use this charger in emergency situations, you’ll need to juice it up at least once per month. Also, you’re a regular user, however, this won’t be required. If you plan to use it once in a blue moon, you need to take proper care of it. Otherwise, it will not be there when required. There are plenty of reasons to like this battery charger. It does a great job though there are a few compromises. No doubt, the short air hose, and jumper cables are two such drawbacks. Moreover, some of the features like LED lamps aren’t practical or user-friendly. All said and done, choosing the right battery in one of the best car battery chargers is of paramount importance. Choosing the right type depends on various factors. These factors include cattery capacity, battery type, and input voltage. Autel Maxilink ML629 is a brilliant OBDII scan tool that helps you diagnose your car. It allows you to read and erase DTCs codes as well as clear CEL.